You may not always get what you want in Life, but happiness is wanting what you get! Last evening I attended an interesting event. It was conversation between three writers – two of whom are former cricketers and have written books on learnings from, and memories of, playing the game. They are V.Ramnarayan (Third Man: Recollections from a Life in Cricket, Westland) and Harimohan Paravu (50 Not Out: Powerful Life Lessons from Cricket to Excel in Our Lives, Jaico). The third one was the moderator and anchor for the evening Krishna Shastri Devulapalli (Ice Boys in Bell Bottomsand Jump Cut, Harper Collins). So, as the conversation between the three men progressed, a question that Krishna asked, prompted Ram to talk about Life as a cricketer. He said, “There’s nothing called ‘out of form’ in cricket. A good cricketer is never ‘out of form’. If you believe you are ‘out of form’, you are actually playing bad cricket. 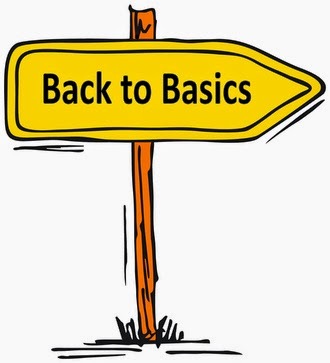 And when you are not playing well, you need to go back to the basics. You need to examine how you are playing the ball, how you are delivering it and how you are picking it up.” I was amazed with Ram’s perspective that basically debunked the popular notion that cricketers do tend to go ‘out of form’ – at least once or twice in their careers. But when I mulled over his view, I not only agreed with it, I also found a deeper, spiritual, insight to dealing with Life in what he had to say. When are you ostensibly ‘out of form’ in Life? When you don’t perform to your potential, when you don’t get what you want and are depressed and when, despite your best efforts, the results or outcomes don’t add up to what you had envisioned them to be. This is the time, to borrow from Ram’s cricket analogy, to go back to the basics. And the most basic, the fundamental, truth about – and in – Life is that Life happens on its own terms; it happens in spite of you and never because of you! Not realizing this, we go on questioning what is happening to us, we go on resisting the Life we have and so we keep suffering. This suffering manifests itself as depression, as bodily ailments, as poor performance at work and as breakdown in relationships. Going back to the basics in Life will help us also awaken to the reality that everything in Life is impermanent. As in cricket, in Life too, both success and defeat are imposters. This entire lifetime is transient. So, why cling on to anything that is impermanent? Why fear losing anything that we can’t take with us when we depart? This going-back-to-basics may not necessarily change the situations we are placed in, but our attitude of acceptance and non-clinging, of let-go, will help us deal with the situations better. It will help us play the game of Life better. And playing the game of Life better simply means accepting what is, choosing to enjoy or endure what is, with equanimity. What you resist persists. When you stop resisting, the pain may be there, but there is no suffering. When you don’t suffer, your quality of Life improves dramatically; you are happy, despite the circumstances!